Yattendon is a diverse farming and property business situated in the heart of West Berkshire, covering over 9,000 acres of the North Wessex Downs Area of Outstanding Natural Beauty. We strongly value our traditional ethos and sense of community. The Estate is home to over 750 people with some 330 people working on businesses based in and around Yattendon. 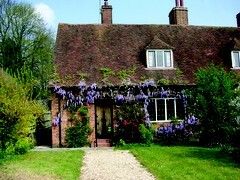 Yattendon offers a unique environment for people to live and work . There is a strong sense of community and the local area offers residents and businesses a wide range of amenities and events to enjoy. Please enjoy exploring our website and discovering more about the opportunities that we can offer you. Please feel free to contact us if you require any further information about the estate.